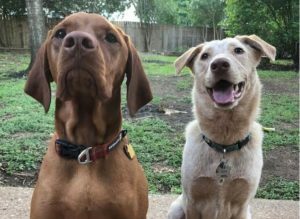 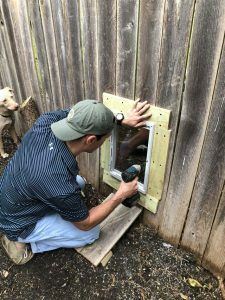 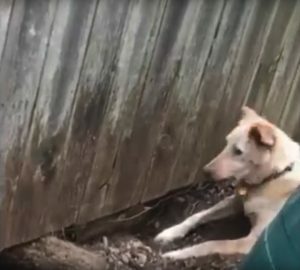 The families couldn’t keep them apart, so they built a doggy door in the fence between their two backyards, the Dodo reports. 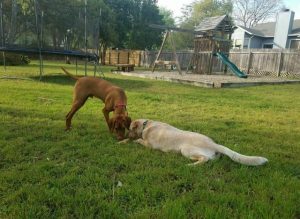 The neighbors originally thought about setting up playdates for the dogs, but that required a lot of planning and cooperation. 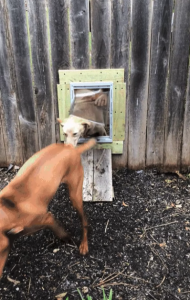 With the new swinging door, the dogs can be together whenever they want.